Two houses down and across the street from the Partridges lived Samantha and Darrin Stephens on "Bewitched". 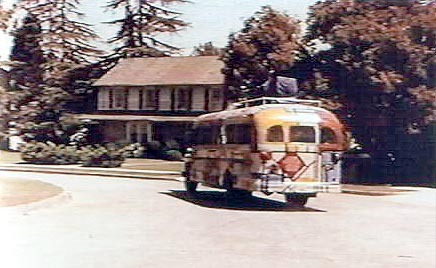 You can definitely see this house in many exterior shots on "The Partridge Family" (such as the one below). 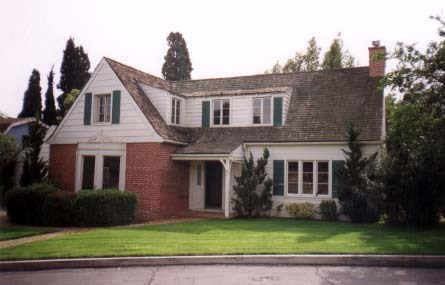 Any "Bewitched" fan knows the Kravitz home was always established to be directly across the street from the Stephens. In reality, the two facades are a bit further apart and more angled than that. 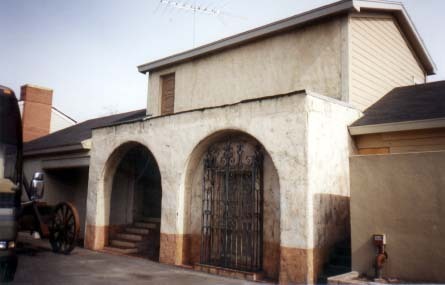 This home was also used as Brian Piccolo's in "Brian's Song", among others. 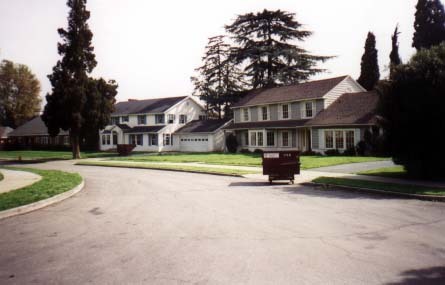 These homes are next door to the left of the "Bewitched" home. 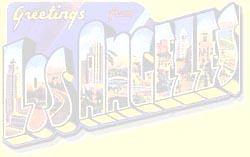 Immediately next door is the home used by Sally Field in "Gidget", the Baxter Family in "Hazel", and the "Lethal Weapon" movies. To the left of that is the Griswold home from "National Lampoon's Christmas Vacation." 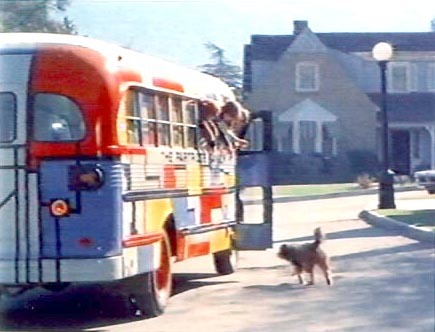 You may also notice that this is the curve in the road that the Partridge bus travels down at the end of the opening credits to "The Partridge Family" (see below). Speaking of Sally Field, the exterior sets for "The Flying Nun" were also located at The Ranch, although much of it no longers exists. Here is the last remaining portion of the Convent San Tanco, Puerto Rico -- located right around the corner from the Partridges and the Stephens! This fountain is probably one of the most famous structures on The Ranch, given the number of shows and films it's been featured in, including "The Partridge Family". 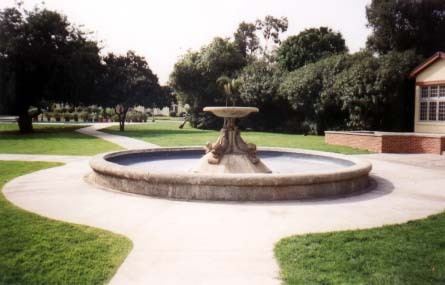 Part of a large park area - the same park the Partridges invariably end up in on occaisional episodes, the fountain can currently be seen each week during the opening credits of "Friends". Note that you can see the Partridge home in the background of this shot.